We're baaaaack!!!!!! 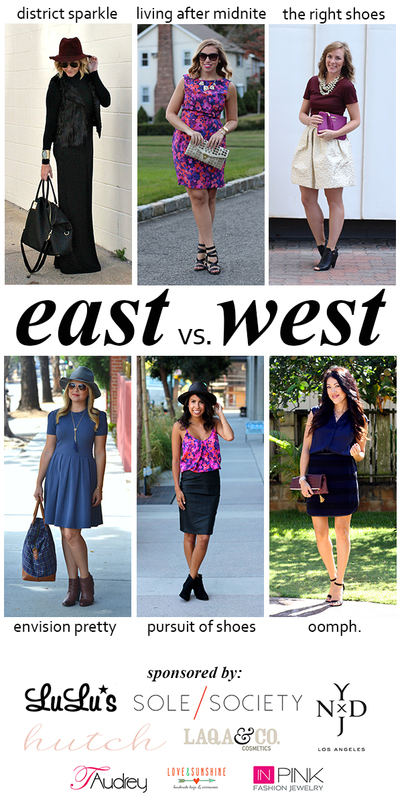 It's time for a fresh round of East vs. West outfits! I'm so excited to be back together with these ladies as we bring you a weekly trend styled six ways for the next 5 weeks. Be sure to check out everyone's looks (links under the group pic) and I can't wait to hear which is your favorite! 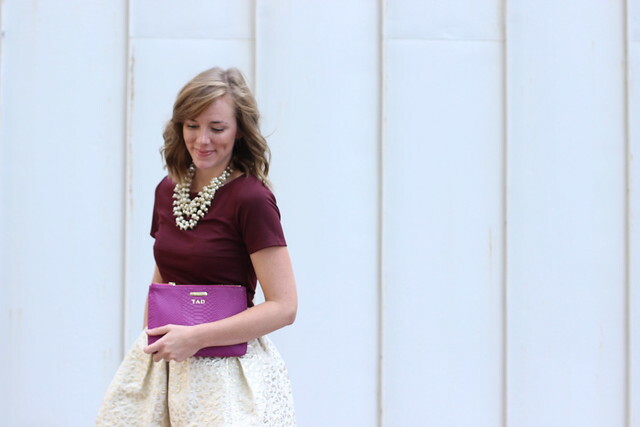 Today is all about the jewel tones because they are huge for fall. 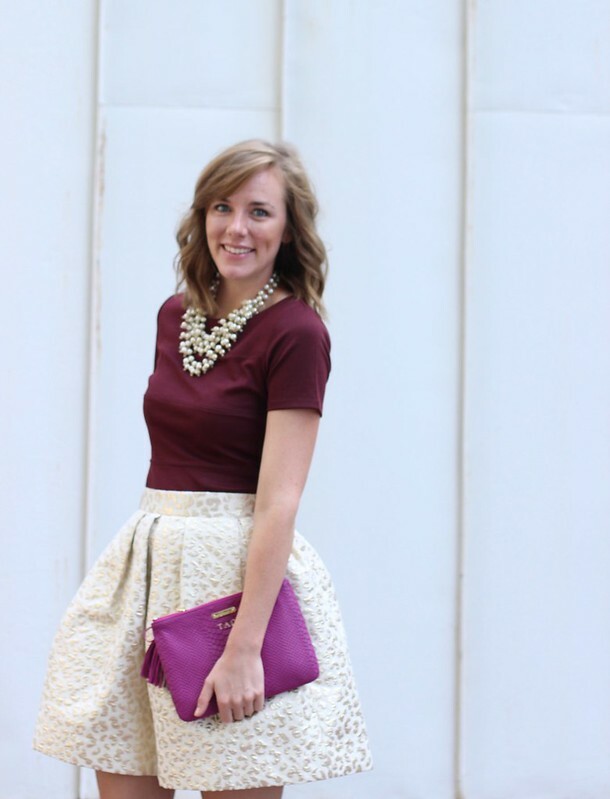 I have been falling hard for burgundy and gold (which is pretty clear in my outfit choice) but navy, emerald, red and purple are also great options. I layered a skirt over a dress and threw on some booties. It was still a little hot for any tights or a jacket but when it cools down I will definitely be throwing on a faux leather jacket to complete the look. District Sparkle // Living After Midnite // Envision Pretty // Pursuit of Shoes // Oomph.